The NOVOMATIC Group is one of the largest gaming technology companies in the world with a turnover of around EUR 5.0 billion in 2018. Founded in 1980, the Group has locations in more than 50 countries and exports high-tech gaming equipment to more than 70 countries. The foundation for NOVOMATIC's worldwide success can be found in its dual strategy: as a producer of high-tech gaming equipment and operator of electronic casinos, regular casinos and sports betting outlets, as well as a technology and service partner in the lottery segment, NOVOMATIC is a one-stop solution provider covering the entire spectrum of gaming. 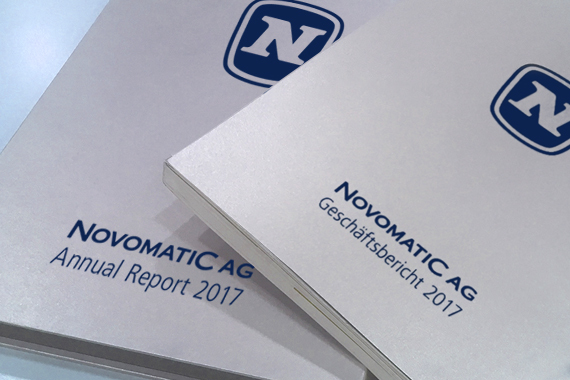 The privately held company NOVOMATIC AG forms the core of the NOVOMATIC Group as the holding company. Companies consolidated under the holding company are active throughout the entire gaming and entertainment industry. As a globally operating full-service provider, NOVOMATIC continues to execute its strategy of covering all segments of the gaming industry. Apart from continuous product innovation, our future focus lies on an even stronger diversification of our business areas. In its relatively short 40-year history, the NOVOMATIC Group with more than 30,000 employees worldwide has become one of the top players in the gaming industry and the clear number one in Europe. As an international gaming technology company, NOVOMATIC focuses on innovation. Experience in our virtual 360° tours exclusive insights into the companies of the NOVOMATIC Group and see how technology and innovation meet.